Everbuild Plumbers Gold is specially formulated for the plumbing professional, Plumbers Gold is a new type of sealant and adhesive based on STPA polymer technology that offers outstanding adhesion to all sanitary, bathroom, wetroom, kitchen and plumbing materials such as hard plastics, acrylics, fiberglass, ceramics, glass, marble, granite, aluminum, mirrors, metals etc. 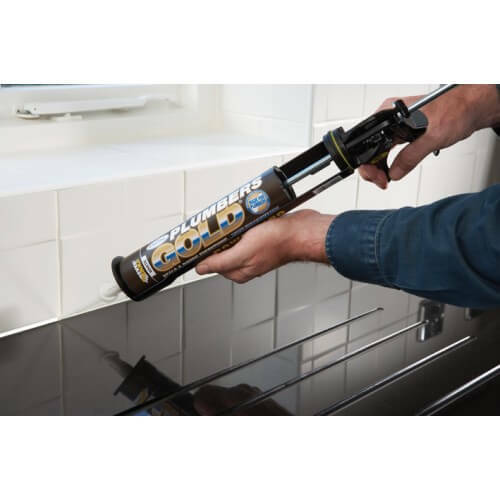 Plumbers Gold can be applied to wet surfaces, will even work underwater, and contains Streitouch, preventing black mould , bacterial growth and discolouration's for 10 years. 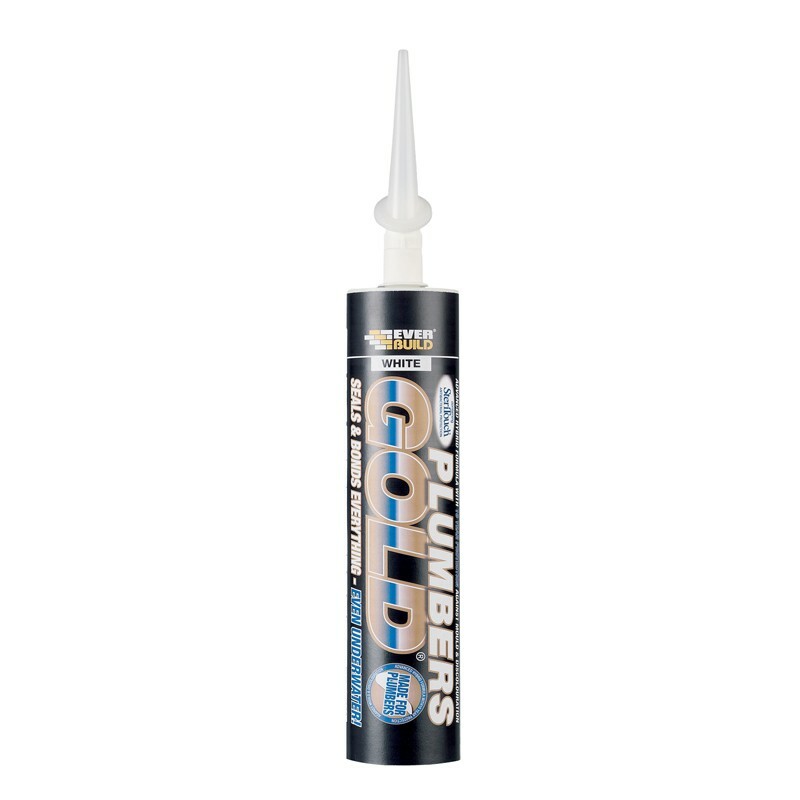 Everbuild Plumbers Gold can be applied to wet surfaces, will even work underwater, and contains Streitouch, preventing black mould, bacterial growth and discolouration’s for 10 years. 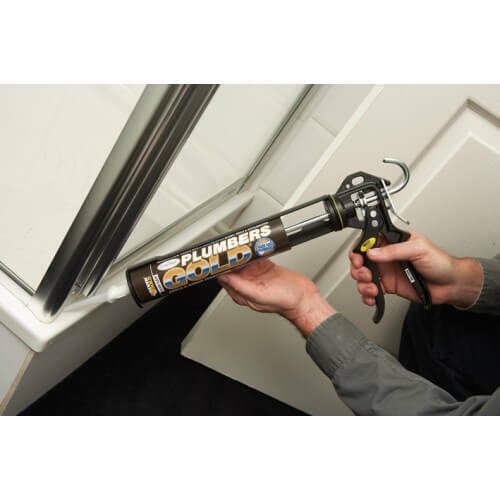 – Sealing soil and vent pipes. 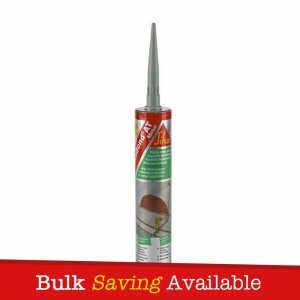 – Sealing and bonding waste pipes. 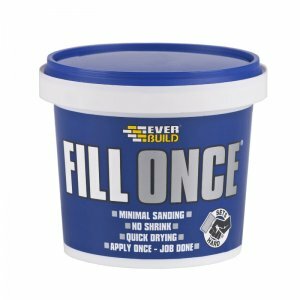 – Sealing and bonding WC pans. – Setting waste traps and grates into sinks, showers, baths etc. 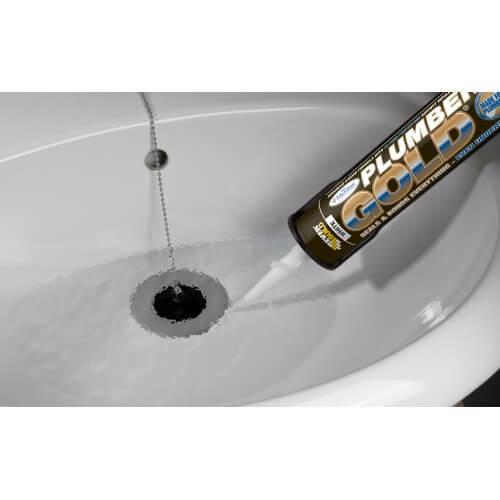 – All conventional sealing around baths, showers, sinks, tiled areas etc. – As an adhesive to bond shower frames, mirrors and ceramic ware to walls, including tiled sufaces. 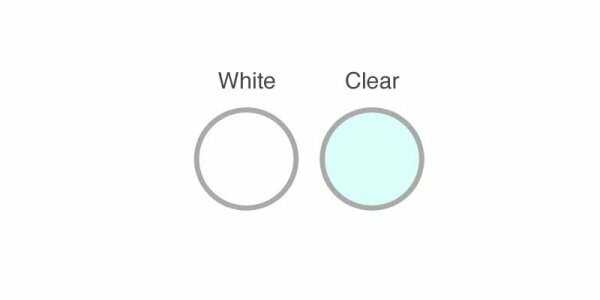 – As a thread seal. – Sealing and bedding extractor fans. – Sealing and bonding in areas subject to continuous water immersion. 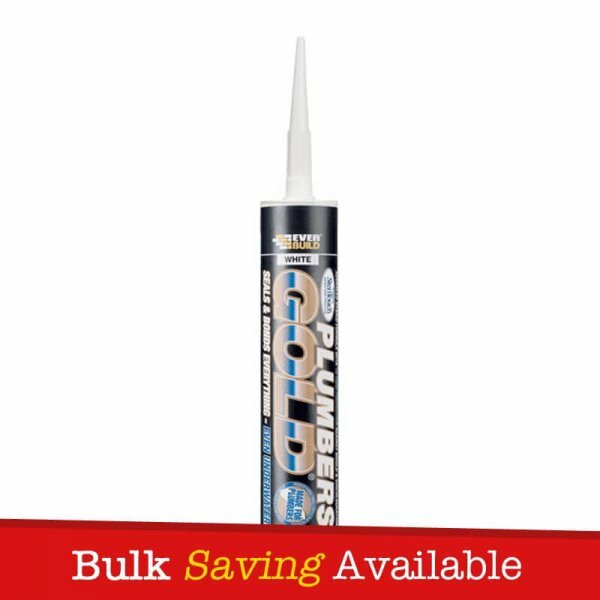 – Permanently fixing small leaks. 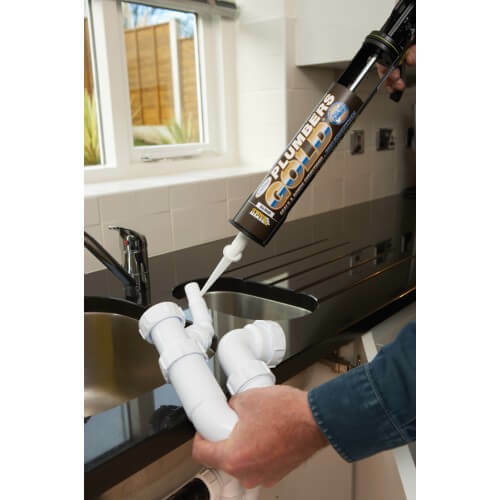 – Sealing and bonding around tap basins. – Bonding shower trays to floors and walls. – As a mirror adhesive. 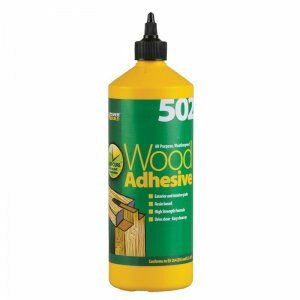 – Excellent primerless adhesion to most common bathroom substrates including metals, most plastics, glass, concrete, plaster, plasterboard, polyester, Perpex, wood, enamel, painted surfaces etc. – High bonding strength, yet flexible enough to cope with common sealing applications. 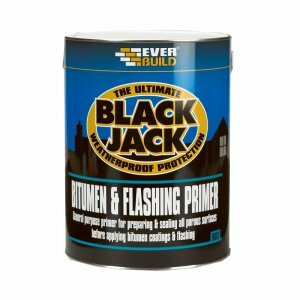 – Can be applied to wet surfaces and underwater! 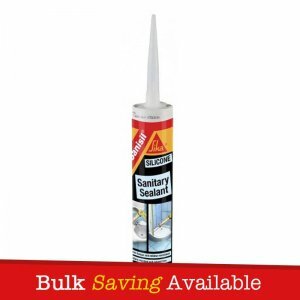 – Powerful anti-fungal and antibacterial agents prevent mould and bacteria growth – Guaranteed for 10 years! – Resistant to temperature extremes -40°C to 150°C. – Non staining on sensitive materials, marble/granite. – Permanently flexible – 20% movement accomodation. 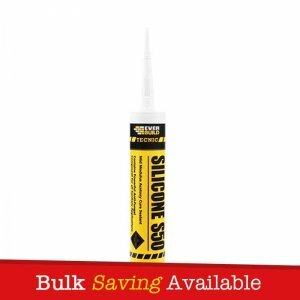 – Excellent primerless adhesion to most surfaces.